Marc Randolph, Netflix Co-Founder. Angel Investor. Business Speaker. 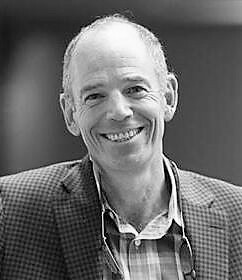 Marc Randolph is a veteran Silicon Valley entrepreneur, advisor and investor. He was co-founder of the online movie and television streaming service Netflix, serving as their founding CEO, as the executive producer of their web site, and as a member of their board of directors until his retirement in 2004. Although best known for starting Netflix, Randolph’s career as an entrepreneur spans more than four decades. He’s been a founder of more than half a dozen other successful start-ups, a mentor to hundreds of early stage entrepreneurs, and an investor in numerous successful (and an even larger number of unsuccessful) tech ventures. Most recently, Randolph co-founded analytics software company Looker Data Sciences, and currently serves as an advisor to numerous other startups, serving variously as a mentor, CEO coach, and/or board member. Randolph is the founder/co-founder of: Looker Data Science (2012), Netflix (1996), IntegrityQA (1995), MicroWarehouse (1988), MacWarehouse (1987), MacUser Magazine (1986), Guitar FPTM Magazine (1984), Mailbox Music (1983).